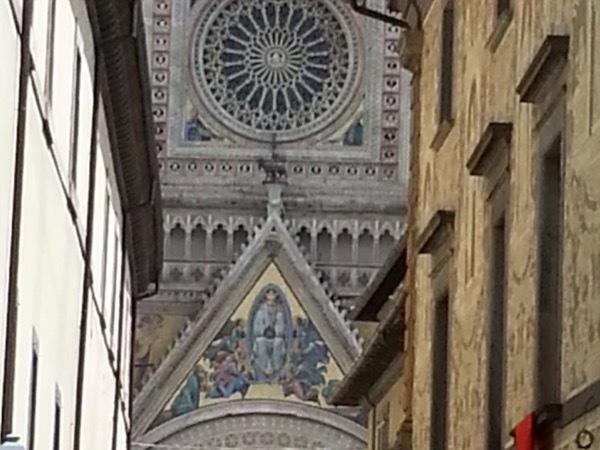 Traveler Reviews for Private Tour in Orvieto, Italy by Tour Guide Marco B.
from the Etruscans to the present day glamour . Marco is friendly and knowledgeable about Umbria, Italy, history, architecture and art. He is passionate about the area and presents information in an animated and entertaining way. Marco was excellent! He is passionate about Umbria and all things Italian. We enjoyed him very much. I would absolutely highly recommend him for a tour. I will contact him again on my future adventures in Italy. Having wanted to visit Orvieto for years, I was indeed fortunate to experience the historic village (and nearby Todi) with our guide, Marco. His knowledge of art, history, religion, culture and architecture is astounding as is his pure joy in sharing "his" Umbria with you. Seeing the region through Marco's eyes will certainly result in "love at first sight" for those fortunate enough to take the journey back in time with him. Although the weather was terrible the day that our University group visited Orvieto, Marco was brilliant. His knowledge was spectacular, and his patience with our 19 person group was superb. Not only did Marco show us around Orvieto and detail the colorful history, but he was understanding of the weather and adjusted the tour accordingly. Thank you Marco for an absolutely spectacular time. Every one of us truly appreciated the time we spent with you in Orvieto! Marco was knowledgeable and most of all entertaining. Our group had a great time! Very good guide, very interesting tour. Descriptions of guide clear and interesting. Gives you a full picture of the site.